MailPix is known for both cheap photo prints and unique gifts! At MailPix, we offer a wide range of unique gifts from our custom drink coasters to our photo pillowcase! If you’re stuck on trying to figure out what to give someone for an upcoming event, think no more! 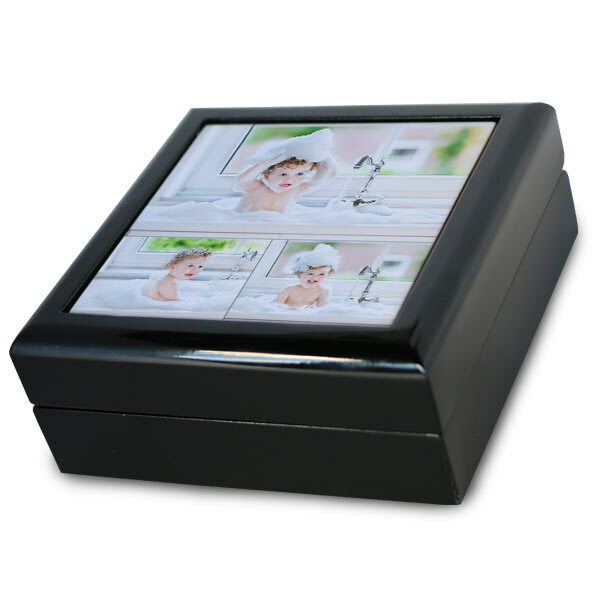 MailPix offers a black lacquer keepsake box that is ideal as a: jewelry box, gift box, baby keepsake box, and wedding keepsake box—just to name a few. Furthermore, you can personalize it with photos, text, and our wide range of templates. 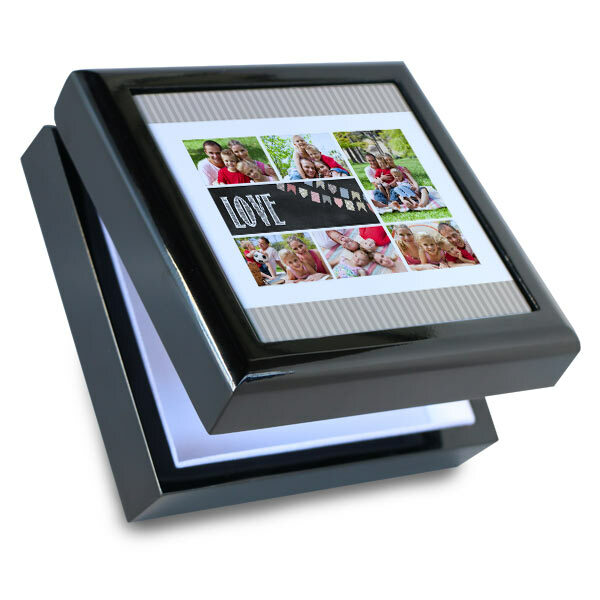 Add a photo of your favorite memory to your custom gift box to personalize the box and make it yours. 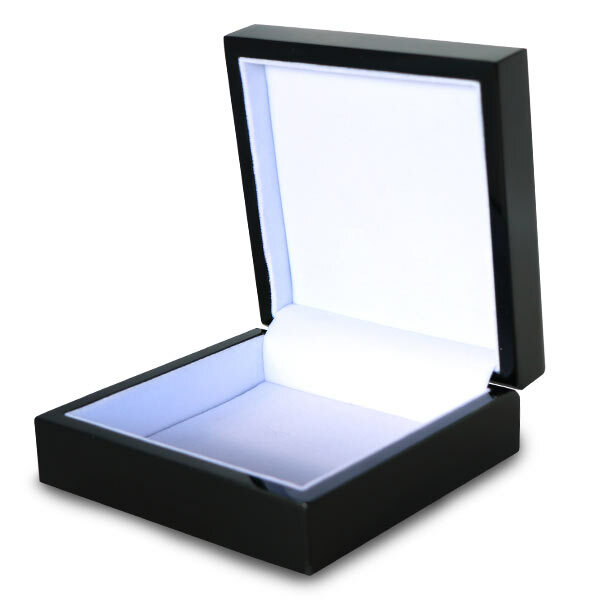 A custom box for trinkets and keepsakes is great for anyone, create yours today!